Michael H. Huneke is a partner in the Anti-Corruption & Internal Investigations practice group at Hughes Hubbard & Reed. 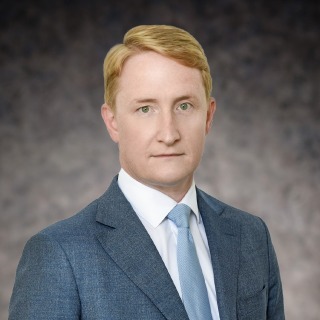 He advises clients in matters involving the US Foreign Corrupt Practices Act (FCPA) and the UK Bribery Act, corporate governance and compliance, World Bank and other international financial institution matters, international trade controls, securities and accounting investigations, and government contracts. Mike performs anti-corruption investigations and due diligence efforts around the globe, including in connection with US Department of Justice, US Securities and Exchange Commission, UK Serious Fraud Office, World Bank and African Development Bank inquiries. This experience includes conducting corporate compliance monitorships and compliance program evaluations. He has assisted US, European and Asian clients in designing, administering and maintaining anti-corruption, integrity compliance and corporate governance programs. Mike's experience also includes US Congress and US inspector general inquiries. In connection with his anti-corruption work, Mike has traveled extensively, including to Argentina, Bahrain, Brazil, China, Colombia, Czech Republic, Denmark, France, Germany, Ghana, India, Jordan, Lebanon, Malaysia, Mexico, Morocco, Netherlands, Norway, Peru, Qatar, Romania, Russia, Saudi Arabia, Singapore, South Africa, South Korea, Spain, Switzerland, Thailand, Togo, Tunisia, United Arab Emirates and the UK.